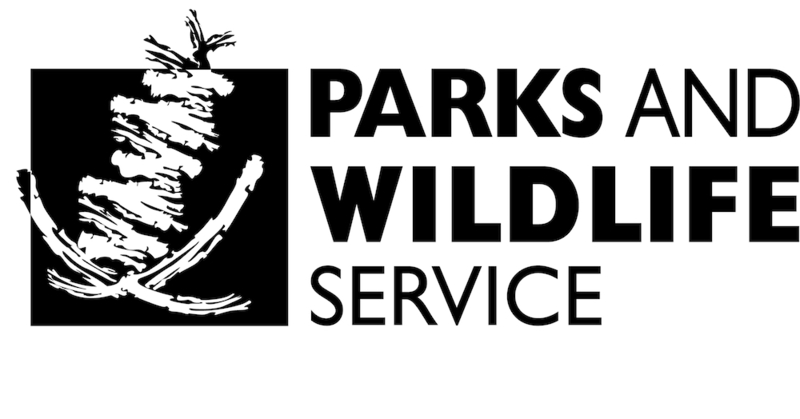 For anyone in Denham on Sunday 15 April we have an exciting lineup of activities for an event at the Denham Parks and Wildlife Service office. There’s nothing like the thrill of the first ping when an animal is located with the radio tracker so grab your chance to radio track hare-wallabies with Dr Saul Cowen. 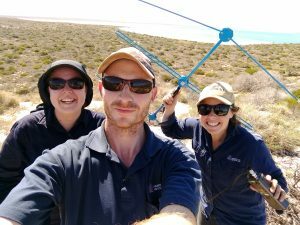 Khayla Wordsworth, a familiar face around town and Monkey Mia, is also an experienced turtle tagger and will show you what happens during a night of turtle tagging. Perhaps you’ll want to sign up as a volunteer for the January 2019 program. The Return to 1616 children’s activity has been revamped and is now an opportunity to get to know the animals being returned to Dirk Hartog Island. Adults might also enjoy this puzzling activity. 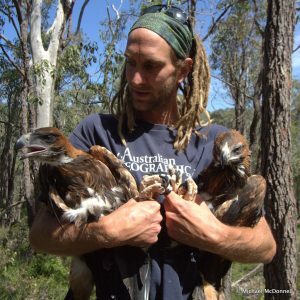 As the sun goes down and the free pizza comes out, Simon Cherriman will share his passion for raptors (birds of prey). He’s well known and respected for his work as an ornithologist and his presentations are very entertaining. Find out more about Simon on his website simoncherriman.com. You might even want to follow him on Facebook . There will also be opportunities to have a bit of fun with the Return to 1616 animals (sorry, not the real animals). Please come join us on 15 April for fun and conversations with people who work with wildlife.